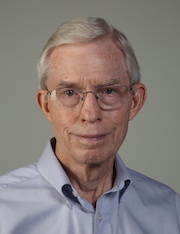 Edward Schaub has been involved in the Baylor Physics department for more than 30 years, first as an instrumentation engineer on the NASA CRAF/CoDEM project under the leadership of Dr. Merle Alexander, and most recently as a senior lecturer. Previous to his Baylor employment, Schaub held a number of positions in industry. He was a production engineer with Texas Instruments in the Government Products Division and a research engineer with AFS Research Corporation. Schaub holds a B.A. and an M.S. in Physics from Baylor.